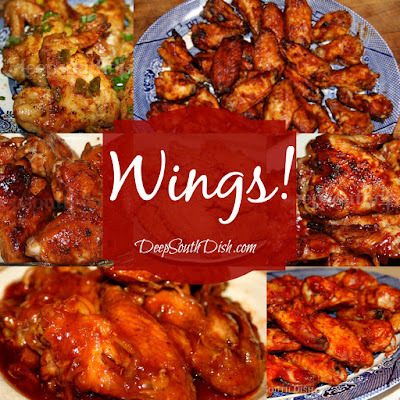 I do love some wings and I don't need a reason to whip up a batch. I make them anytime! 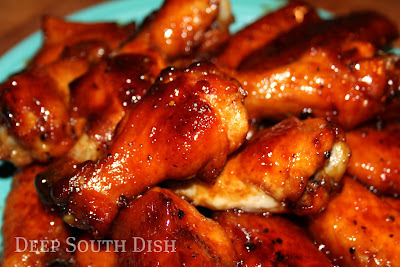 Here's my collection of favorite wing recipes, all from Deep South Dish blog, all in one place. 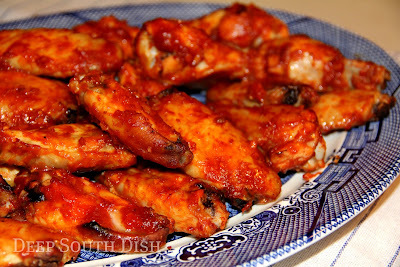 Sriracha Hot Chicken wings glazed with Steen's pure cane syrup and sriracha hot chili sauce. 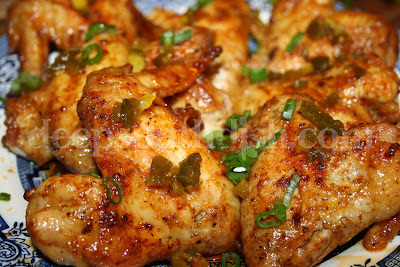 Oven baked hot wings made with a buttery Louisiana hot sauce and garnished with sliced green onion and chopped jalapenos. 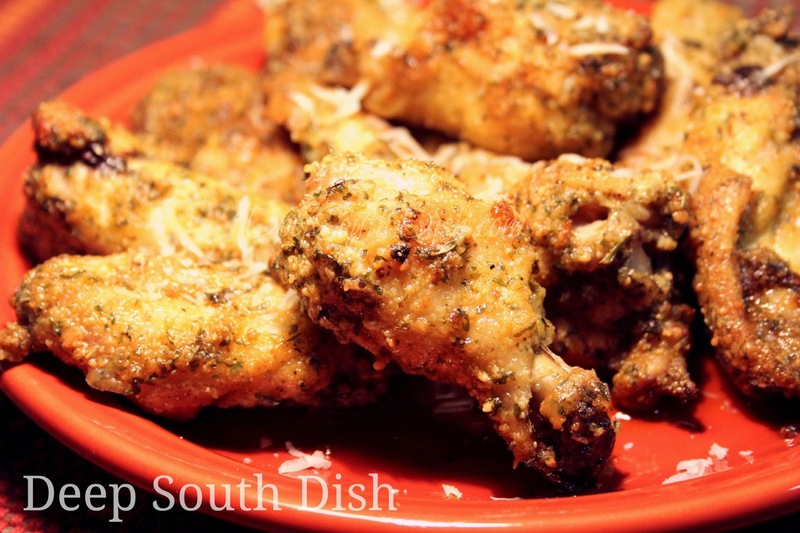 Chicken wings, dipped in a butter and garlic sauce and rolled in seasoned Parmesan cheese. 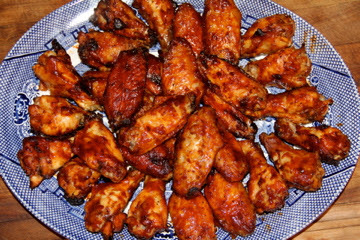 Chicken wings baked with a Ponzu Lime Mojo marinade that brings a wonderful spicy, sweet, savory, citrus tang to average wings. 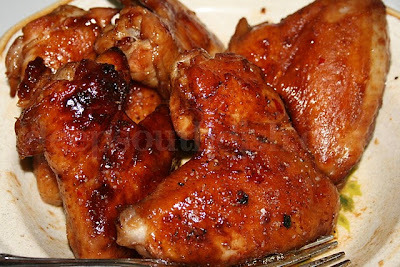 A tasty oven barbecue chicken wing, seasoned generously with both Cavender's Greek seasoning and Cajun seasoning, then finished with your favorite barbecue sauce. 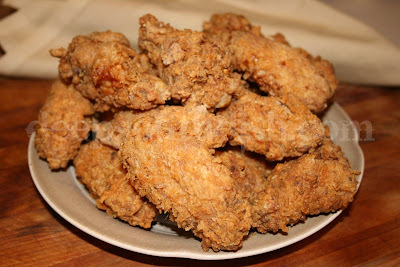 Chicken wings, marinated in a highly seasoned dry rub marinade, dredged in a seasoned egg wash and deep fried for crispy, crunchy, spicy goodness. 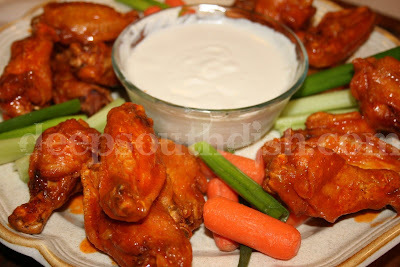 Fresh chicken wings, done up Buffalo-style, are given a quick deep fry, seasoned with salt and pepper, and then tossed in a buttery hot sauce. Serve this with a homemade sour cream, mayonnaise and blue cheese dipping sauce. 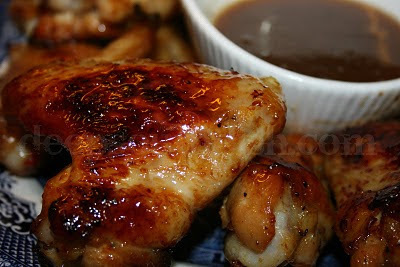 Honey BBQ chicken wings made in the slow cooker. 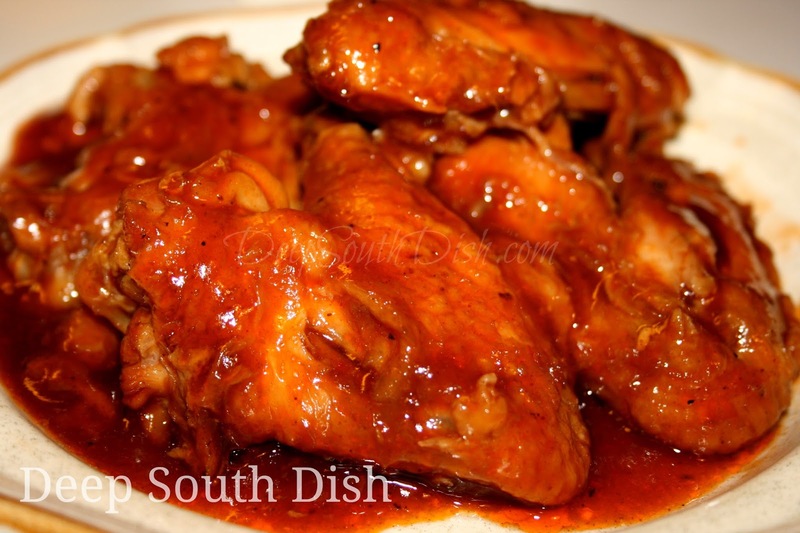 Ain't No Thing Chicken Wings - A combination of chili sauce and hot sauce with cider vinegar, garlic, ginger & Cajun seasoning, makes for a nice spicy kick in these chicken wings.